Used car giant Off Lease Only has a secret: Value Lot, home to a sea of quality trade-ins that offer incredible VALUE, great prices and some pretty unusual finds! Located at 1575 Military Trail, the OffLeaseOnly Value lot is where car shoppers who want something different will find that diamond-in-the rough for thousands less than the competition. Our OffLeaseOnly Value Lot inventory includes everything from newer model, low mileage used cars to older model, higher mileage used cars, all priced to sell fast. From fabulous to fun, customers looking for great deals will surely find the right used car for their needs at the Value Lot. 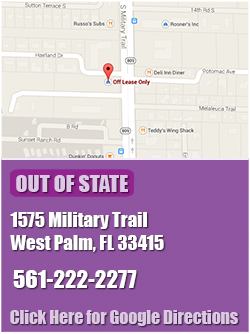 Just like OffLeaseOnly in Miami, Lake Worth and Orlando, the Off Lease Only Value Lot is filled with motivated customers looking to find a great deal on their next used car! Workers at Value Lot process 200 to 300 trades a month, making the very best used cars available to Off Lease Only customers, according to OffLeaseOnly operations manager Ryan Little. 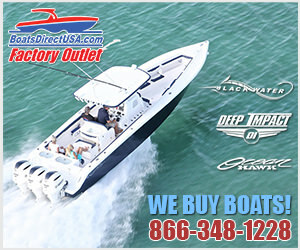 Not every trade at OffLeaseOnly’s Value Lot is resold to customers. Higher mileage cars that are too rough cosmetically, or have mechanical issues are sold at auction, Little said. The remaining high quality trades are resold at the Value Lot, providing amazing deals for used car shoppers seeking the right fit at the right price. Looking to sell your old car, OffLeaseOnly appraiser’s will pay top dollar for it! 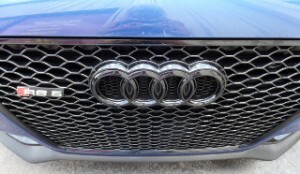 “We have Audi, BMW and Mercedes with a little bit higher mileage than our other dealerships,” Little said. The lot is also filled with an array of domestic brands like Chevrolet and Ford, and Asian imports like Kia, Hyundai, Nissan and Toyota. 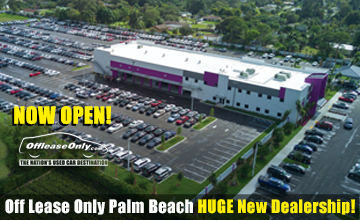 It’s the perfect place to find a starter car or that steal of a deal that will turn your friends green with envy! 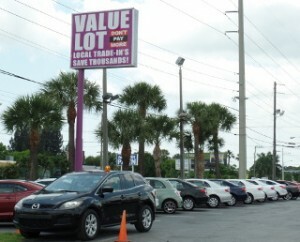 Value Lot is also the first stop for all arriving used car inventory that is ultimately distributed to OffLeaseOnly’s main used car lot at 3531 Lake Worth Road. 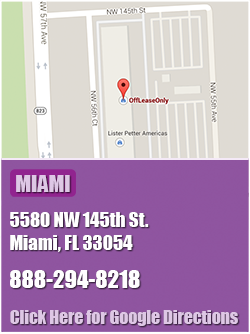 That means Value Lot workers additionally process 900 to 1,000 used cars slated for OffLeaseOnly’s main inventory. That’s A LOT of used cars! With so many used cars coming and going, Off Lease Only Value Lot is definitely worth a look! Remember, OffLeaseOnly pays top dollar for your trade-ins, and resells the best of them at unbeatable prices at the Value Lot, never charging a hidden fee. And because our Value Lot inventory is composed of our customers’ trade-ins, you never know what sort of gems what you may find! Remember, if you see a used car you like, act fast. They do sell quickly. One incredible find was a recent cobalt-blue 2007 Mazda RX-8 with suicide doors and a rear spoiler. This amazingly cool car was immaculate, with mileage in the 50,000s, and priced at only $6,999. It sold within days of its arrival at Value Lot. Watch Off Lease Only’s ever-changing inventory for the perfect car of your dreams. It’s bound to turn up! “This place buzzes,” Little confessed. Selling trades is just part of what goes on at Value Lot, which serves as a sort of command center for much of the support staff that keep the huge used car dealership running. Employees at the OffLeaseOnly Value Lot handle everything from inventory control and service to arranging the shipping for the thousands of used cars OffLeaseOnly purchases at auction and transports to its four dealerships. 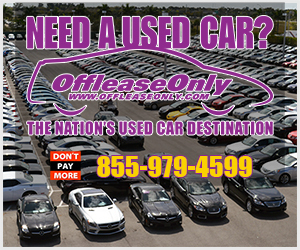 Off Lease Only Used Car Trade-ins and Appraisals – OffLeaseOnly Reviews on Vimeo. ← Previous Story Luxurious OffLeaseOnly Used Lexus Hybrid Save Gas and Money! Next Story → OffLeaseOnly Selling Rare Chevrolet Collector Cars!